Portfolio page for mixed use land surveying projects completed by BRH, Inc. This landmark 24-story mixed-use building on NE 8th Street in Bellevue contains apartment homes, resident spas, a theater, fitness and yoga facilities, and high-end retail. BRH provided multi-phase site monitoring, construction staking, a control layout, as-builts, and grid control. This is a view-oriented luxury apartment and retail building, adjacent to Green Lake, with studio, one and two bedroom units, and full resident services. 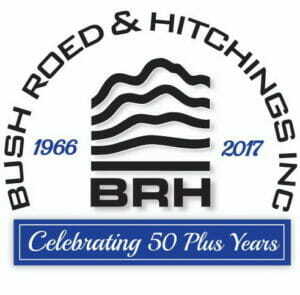 BRH provided topography and utility detection and location mapping, an ALTA survey, construction staking, and site monitoring. Olive 8 is a mixed-use hotel and condominium tower in Seattle. The hotel portion is a 17 story Hyatt with 346 guestrooms. The condo component above comprises 22 floors with 229 full amenity homes. BRH provided construction surveying and layout, plus site monitoring services. This complex comprises four downtown mid-rise buildings, and a public park staircase, between First and Western Avenues in Seattle. The project required research, boundary, topographic and ALTA survey services. In addition, we provided monitoring services, construction grid control, and street improvement base mapping.